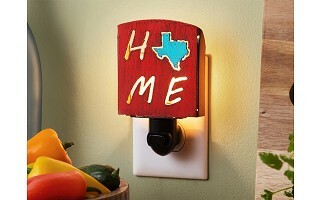 Whimsies metal night lights are made by Pam Firra, and they are aptly named. 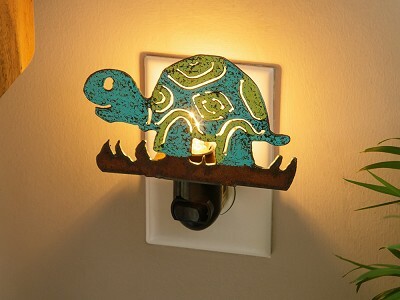 On the hunt for a night light, there was no way this artist was going to accept anything ho-hum. So now Pam handcrafts these pieces to be full of personality and colorful charm. She starts with salvaged metal sourced in the U.S. and then hand draws, cuts, and paints each light. 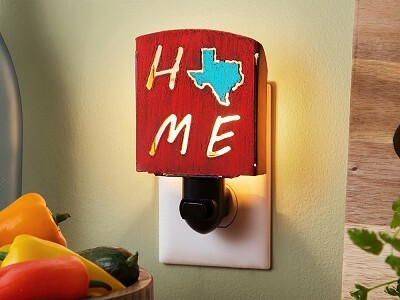 Pam’s ode to states are a sweet way to keep a favorite place lit up in your space and her playful menagerie of animals is full of warm character. It’s true, there’s nothing ho-hum here, but instead truly unique (and functional) pieces. What kind of light bulb does the night light use? The night light comes with a bulb. It can be replaced with another 4-Watt C7 light bulb.